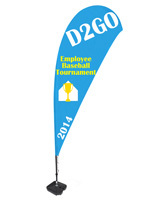 This two color flying banner is perfect for any business and any size budget. 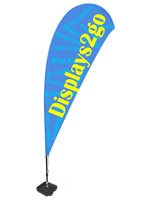 These teardrop flags come with a water base which is great for any event inside or outside. 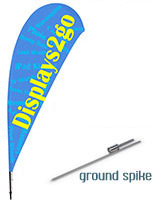 Each flying banner includes a black plastic base which is easy to use and lightweight for transporting. 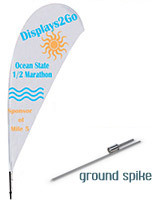 A teardrop flag is used to promote a business at an exhibition, fundraising event, and more. 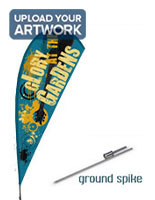 Flying banner sets are eye-catching in any setting. 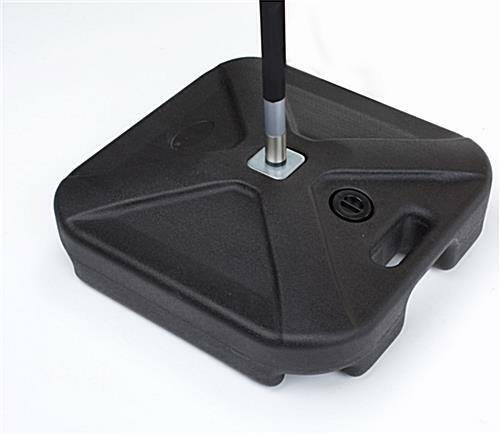 These outdoor marketing tools are great for letting potential clients know about your business or services.